Moderra Masonry Veneer: A Long-Lasting, Beautiful, and Less Expensive Option - PetraSlate Tile & Stone is a wholesale supplier of quality flooring products from around the world. Visit us online to view our products Gallery. Moderra® Masonry Veneer is a creative alternative to traditional masonry wall materials for residential, commercial, agricultural, and industrial construction and remodeling projects. Mortarless and substantially easier to install than the usual masonry options, Moderra Masonry Veneer employs Moderra’s H-Channel and Bracket Technology, unique designs that create a unified, secure bond to the structure. Available from PetraSlate Tile & Stone in Denver, the material is easier to apply than traditional materials and leaves less waste and far less mess to manage. And, the total labor required to install is estimated at 50% less than traditional masonry. Moderra Masonry Veneer is not merely a lightweight, weather-resistant substitute for natural stone. 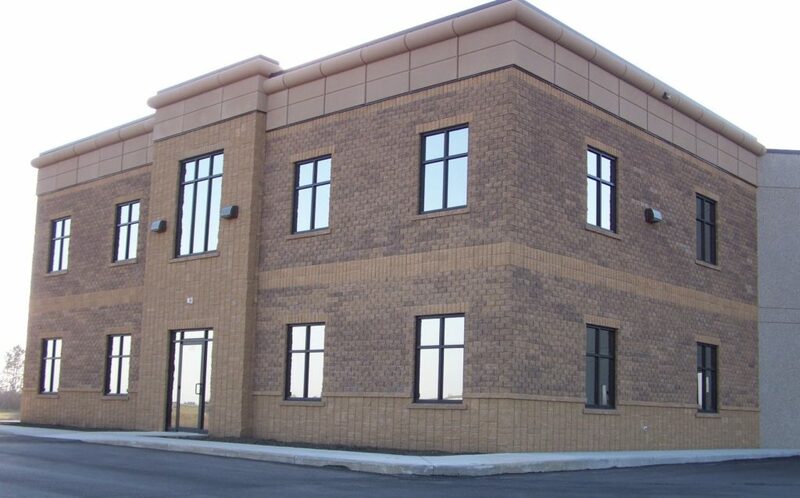 This mortarless masonry product is made from high-density concrete formed to last a lifetime and maintain its beautiful appearance while doing so. Available in a range of shades that can be applied monochromatically or mixed and matched to create contrast. Products may also be vertically scored to replicate mortar joints or are available without scoring. Moderra Masonry Veneers for both exteriors and interiors make the selection process less complicated than with standard products. For builders and contractors, the material eliminates unnecessary time, waste, difficulty, and the cost of conventional masonry construction. Moderra’s patented H-Channel and Bracket Technology allows for fast, easy, and secure installation that do not require the services of an expensive specialty mason to install. And, the life and appearance of the veneer are not affected by extreme weather conditions. With Moderra Masonry Veneer, the sky is the limit, literally. This product works perfectly for tall vertical columns as well as extensive horizontal wall structures. The Moderra H-Channel locking system fastens the veneer securely to the wall and joins each block and brick in place for permanent positioning. For more information regarding Moderra Masonry Veneer, contact the experts at PetraSlate Tile & Stone in Denver. As a longtime supplier and advisor to local contractors, PetraSlate collaborates closely with designers and builders to make the best choices for construction projects. For answers to any questions about Modera Masonry Veneer, call PetraSlate at (303)-280-9595.